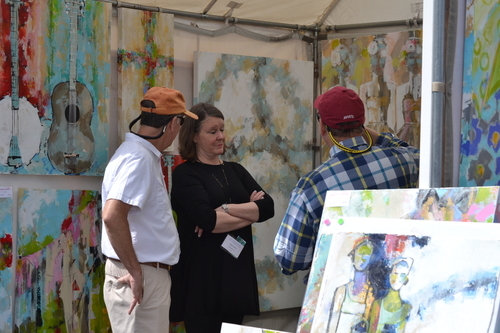 More than 230 exhibitors will bring their best works from all over the country, including many from the Southeast, to showcase at this prestigious show. Enjoy live entertainment and festival cuisine from the food court during this wonderful three-day fine arts festival. It all takes place on the streets of beautiful downtown Fairhope, Alabama. If you are traveling along Interstate 10, take Exit 35 and head south on US Highway 98. Continue following US Highway 98 for approximately 10 miles. Upon entering Fairhope on US Highway 98, also known as Greeno Road, you may turn right onto Fairhope Avenue and head west into Downtown Fairhope. 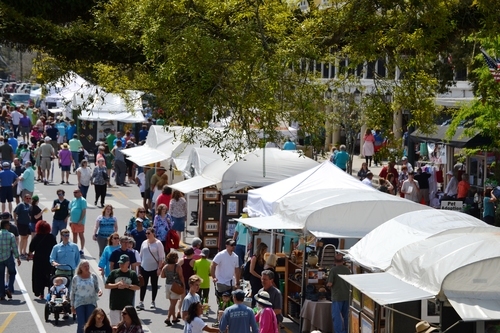 The festival is located on the streets of Downtown Fairhope. The City of Fairhope is providing handicapped parking spaces in the parking lot behind Julwin’s restaurant. Additional handicapped parking will be located in the Municipal Parking Lot on Bancroft. Once those parking spaces are filled, we recommend you park and ride the shuttle services.